What does it like to eat? Seventeen haiku composed by master poet Jack Prelutsky and illustrated by renowned artist Ted Rand ask you to think about seventeen favorite residents of the animal kingdom in a new way. On these glorious and colorful pages you will meet a mouse, a skunk, a beaver, a hummingbird, ants, bald eagles, jellyfish, and many others. Who is who? The answer is right in front of you. But how can you tell? Think and wonder and look and puzzle it out! 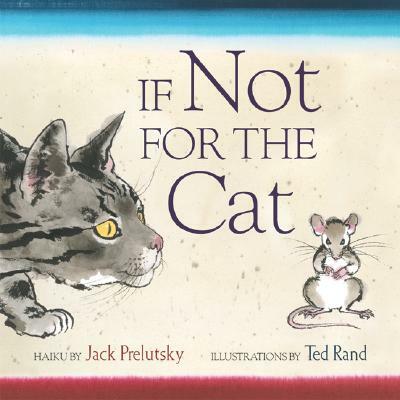 Jack Prelutsky is the best-selling author of more than fifty books of poetry, including The New Kid on the Block, illustrated by James Stevenson, and Stardines Swim High Across the Sky, illustrated by Carin Berger. Jack Prelutsky lives in Washington State. Ted Rand, illustrator of Mailing May and Don't Forget.